Are you planning to come up with your own blog online? Well, that’s great and here you have an amazing collection of blog themes- whether you are looking to promote your land-based store or simply love to ramble in your personal blog. 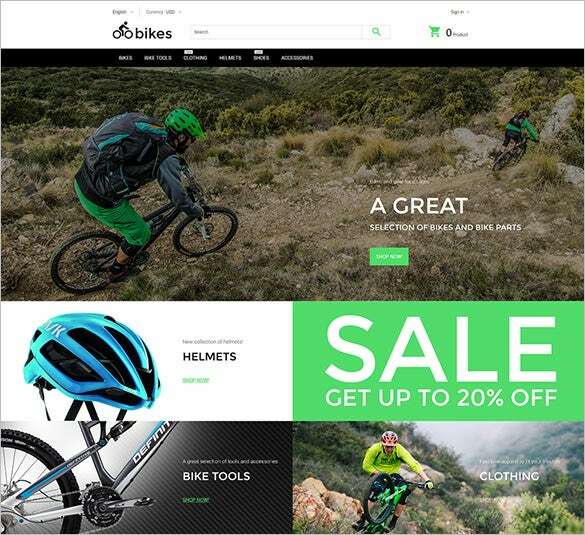 All the themes highlighted here speak of clean trendy designs, complete with responsive layout and tons of amazing features such as slider banners, social media integration, drop down navigation and what not! Many of them promise cross-browser compatibility and multilingual support. 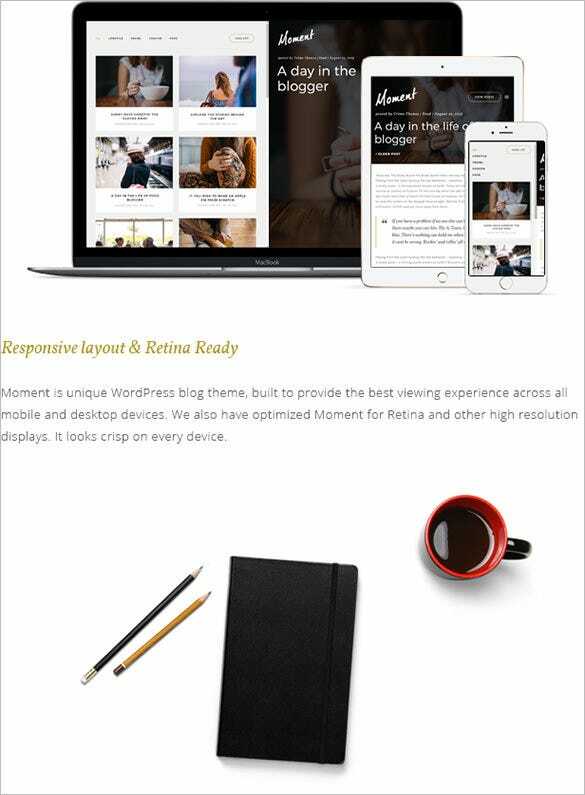 The most interesting aspect of the retina-ready theme is how it presents your blog text and picture in separate layouts on one page so that the posts are easier to read. Moreover, the homepage would enable you to offer quick view of the posts in your archive through highlights in separate sections. 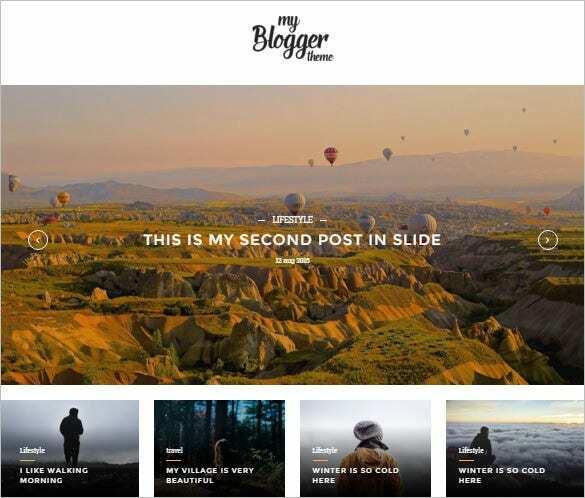 You have an elegant and modern personal blog theme here equipped with trendy swiper and revolution sliders. It assures both dark and light schemes and can support all kinds of post formats. There are more than 5 custom widgets and you are also promised of a very convenient logo replacement. 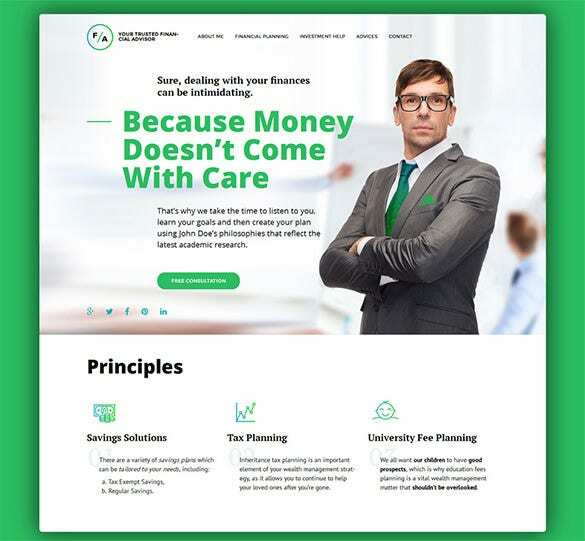 With over 20 pre-set blog layouts, infinite scroll facility and live customizer, this blog theme here is anyday a winner and its bustling 100,000 customer base proves the point with elan. 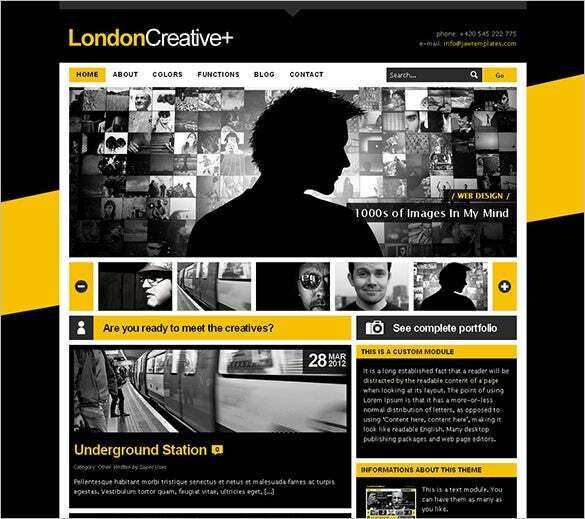 No matter whichever blog layout you fancy- be it boxed layout or Classic layout or grid with frame layout – you have everything covered here. 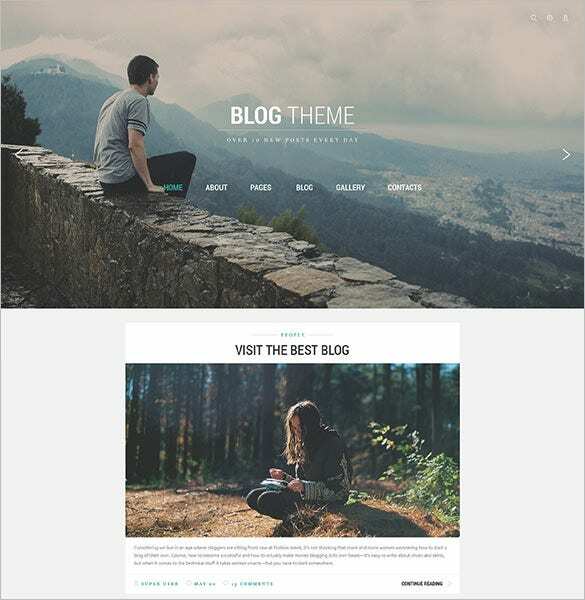 The elegant blog theme here comes with two blog page templates as well as three homepage layouts to pick from as per your specific preference. It also speaks of many other favorites for any blogger such as video widget, Facebook widget, popular posts widget, recent posts widget, color picker, custom CSS box and so on. 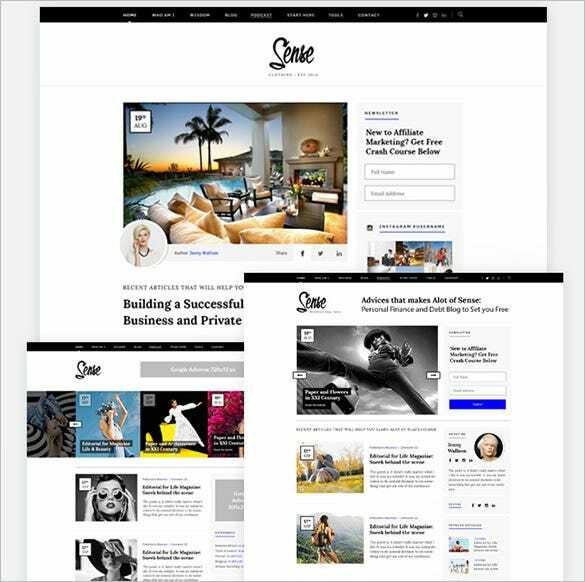 Backed by the brilliant WordPress Customizer, the premium blog theme here will allow you to come up with your own website in just minutes. 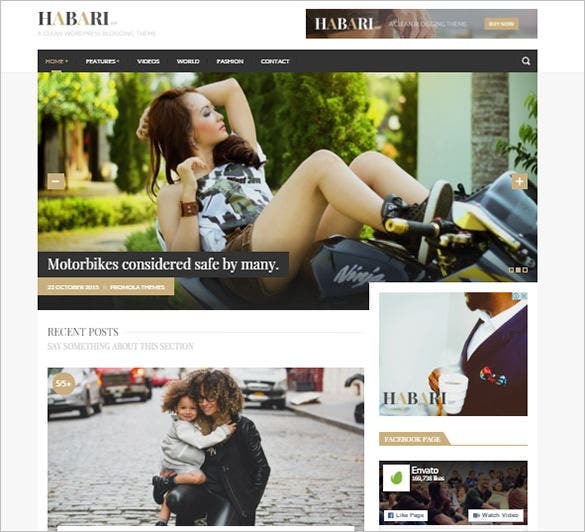 It speaks of a modern and neat WP theme, much to the delight of both the blogger and his/her visitors to the blog. 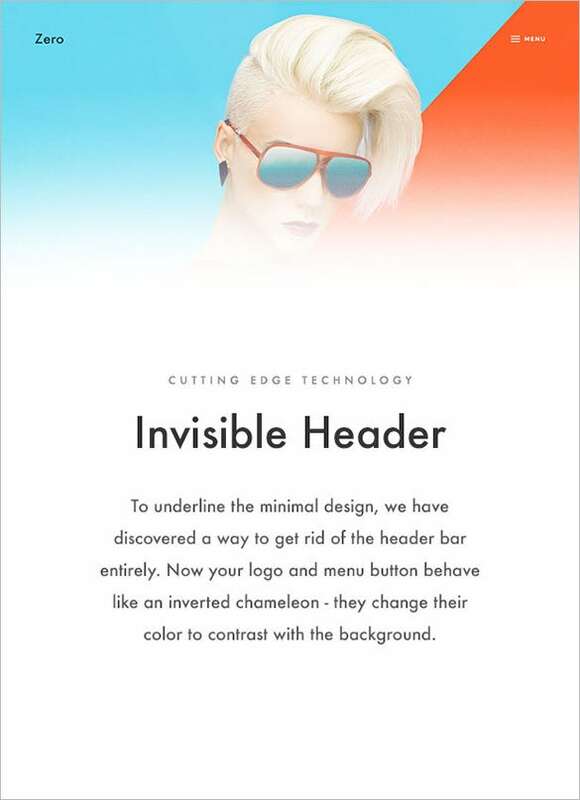 The slider at the top of the homepage is great to highlight your pictures. 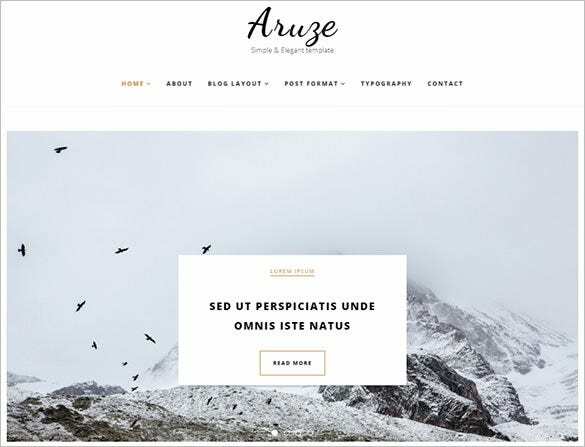 Built in updated WordPress platform, this blog theme highlights the profound aura of minimalist simplicity which would be great for a blog or online magazine. It supports social networking profiles and the color picker enables you a cool customization of theme colors. 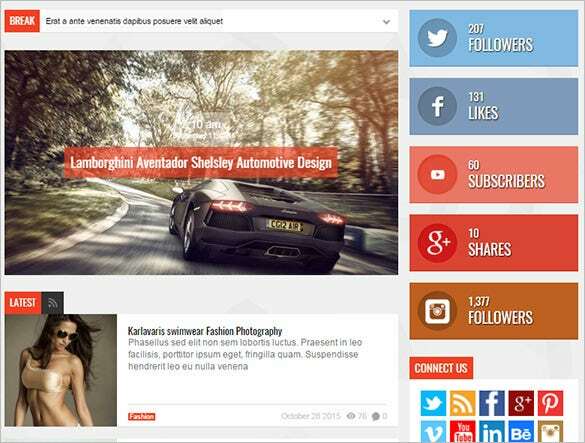 You are getting ultra-sharp retina ready resolution graphics with this WordPress blog theme. 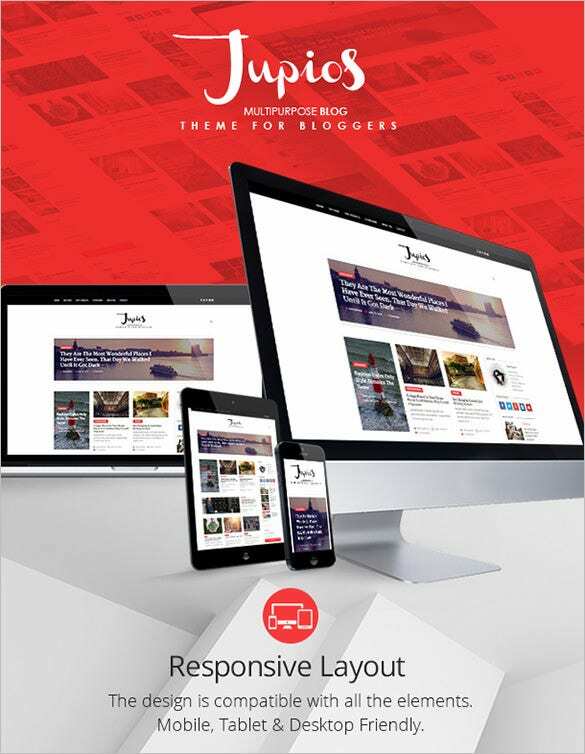 This responsive cool blog theme enables complete customization of the blog theme, starting from the homepage. 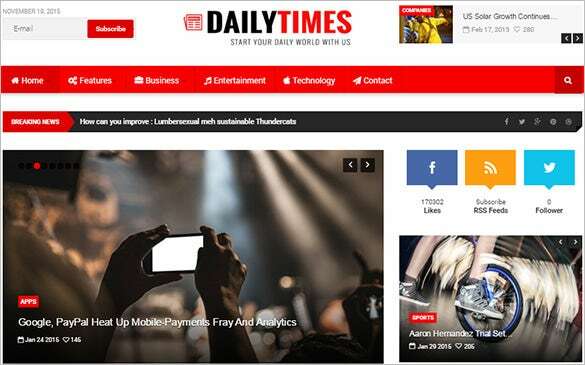 Its cross-browser compatible, is bustling with over 600 fonts, is compatible with MailChimp & WooCommerce, assures social media widgets and is translation ready. It’s child theme compatible, guarantees professional support and even offers a video guide on theme installation. 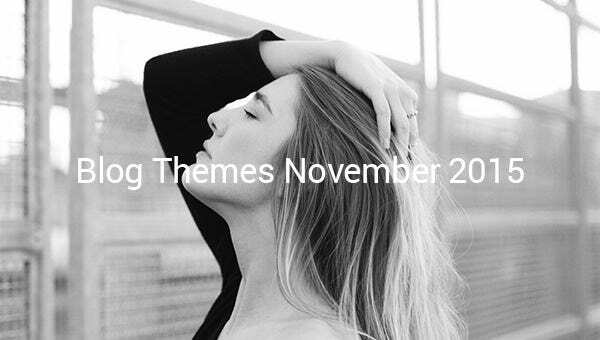 Interestingly, this edgy blog theme comes with no header and you will have the menu button and logo changing colors instantly to set a beautiful contrast against your chosen background. It also allows you to change the conventional dark side menu into a light one for a suave look. The blog theme comes with customizable portfolio grid. The blog theme looks truly artistic with its intelligent placement of the white space, effective and simple sidebar widgets and a neat theme. There are more than 20 blog layouts to pick from. 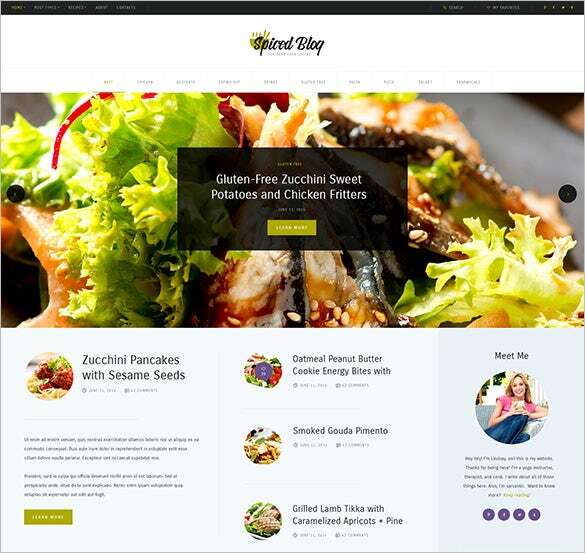 You will be glad to know that theme can cater to almost any form of blog- whether its travel or fashion or food. 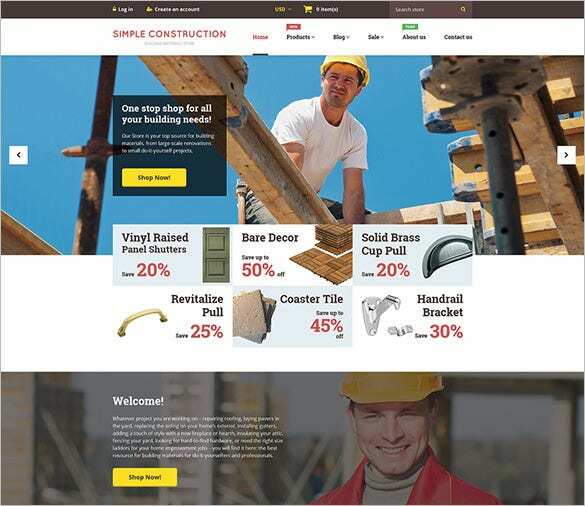 If you are in need of a great blog to market your building materials, this business blog theme here would be excellent for you. 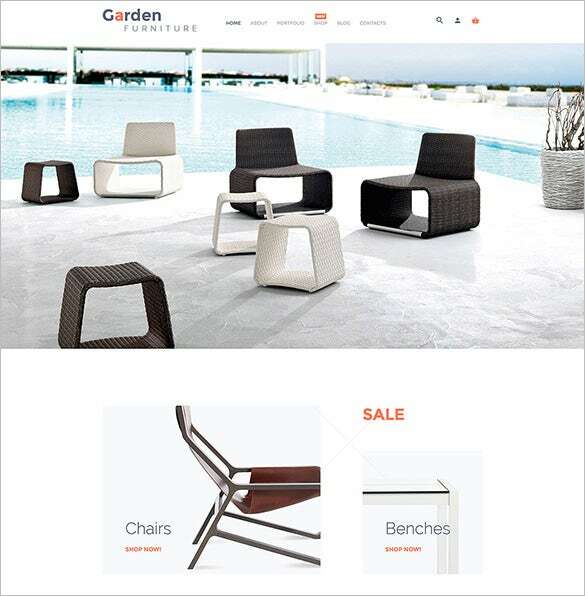 It opens up with a slider banner to showcase your best products while there are separate small banners below the slider to highlight your discount offers. There are around 15 free great resolution images to choose from. 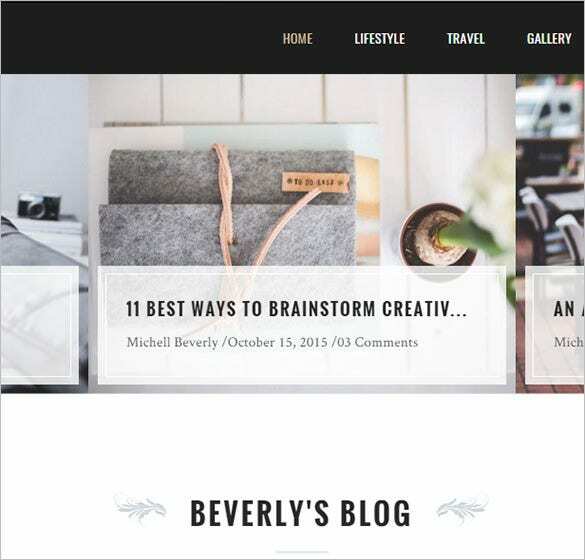 You have a beautifully creative blog theme here that enables you to pick from three color options. The theme comes complete with all the useful modern features such as slider for images, unique spinning slider-buttons, contact form, message buttons, a convenient dropdown navigation facility with seamless dropdown levels and many more. If you are looking to have a multi-lingual site, this blog theme here would be helpful for you with its WPML compatibility. It opens up with a big header banner where you can highlight your values or business slogan. The theme supports integration with all major social networking sites. It’s Cherry Framework 4 looks elegant and the theme promises easy editing with MotoPress Editor. 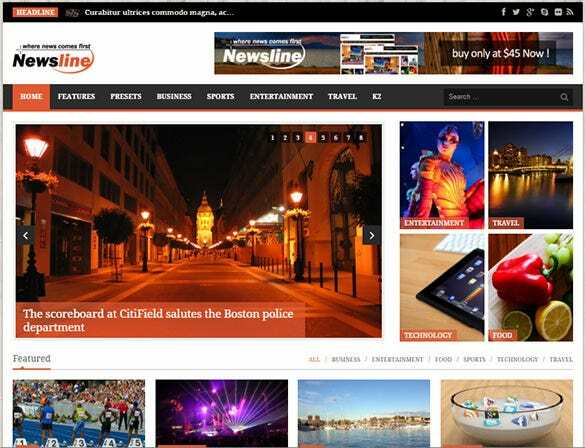 If you are looking for a professional theme for your news or magazine site, this theme can be a great pick with its subtle design. You can choose from 2 exclusive home variations, 2 header layouts, six pre-set color styles and there are amazing Front-end & back-end features galore. It can also be used for small company sites. 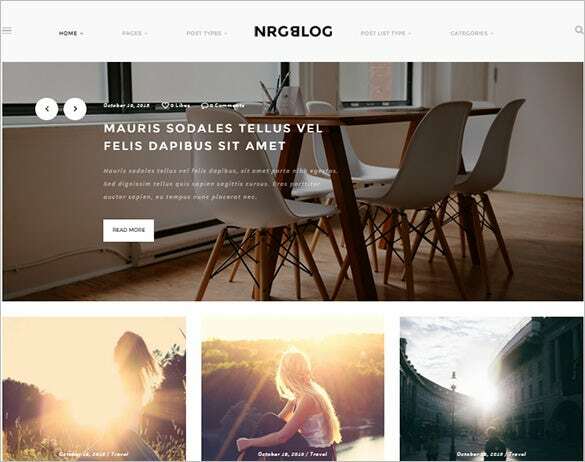 If you are in quest of a simplistic yet classy blog theme, this theme would be amazing. It opens up with a big slider banner and below it you can highlight the snapshot of your latest post with picture. You are getting an in-built newsletter form support, Google Map API, contact form and the theme is even cross-browser compatible. 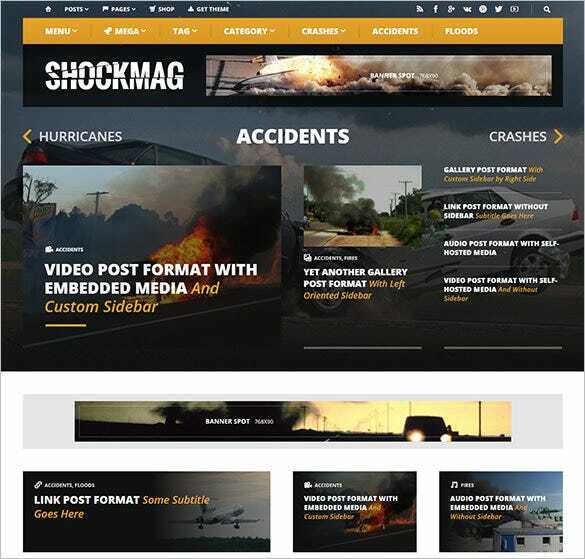 This fully responsive Joomla theme is meant for striking magazine websites where you have a slider banner to highlight on your current hot topics and the right side will talk about your followers and subscribers on social media sites, followed by snapshots on popular posts. It’s fully responsive and well documented. 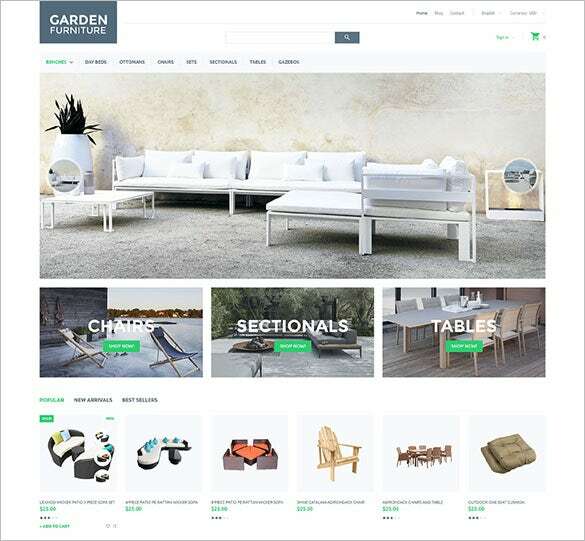 You have a smart and trendy blog theme here which comes with slider banner to flaunt the best products you have, followed by small sections on the different categories of products in your store. The theme talks of multi-language support, customized menu facility with Megamenu, easy blog roll and crossbrowser compatibility. 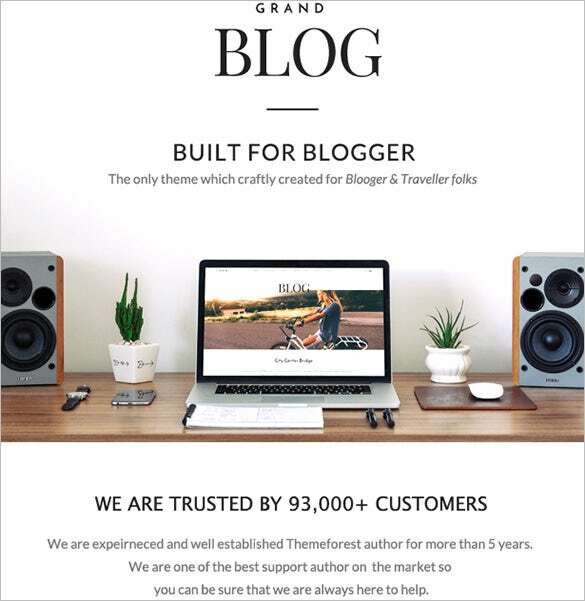 You have an elegant blog theme here which would be great for your personal blogging efforts. The blog theme opens up with your menu bar followed by a big banner where you can highlight great images accompanied by appealing blog post titles with the “Read More” that will take the reader directly to the post. The best part is that the blog theme is here to amaze your visitors with a cutting-edge 2D environ and you can even add interesting videos here. It opens with attractive slider banners which is followed by sections to highlight your discount offers. There are two options (grid/list) to organize your blog layout.